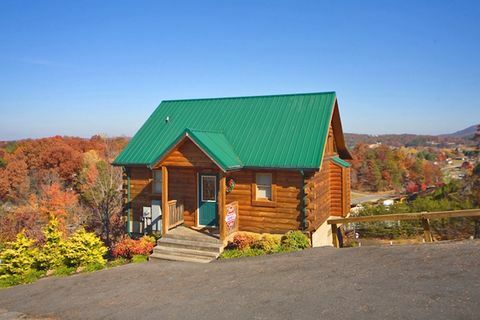 Combing the Internet for Arrowhead cabin rentals in Pigeon Forge, TN for your honeymoon or next romantic getaway? 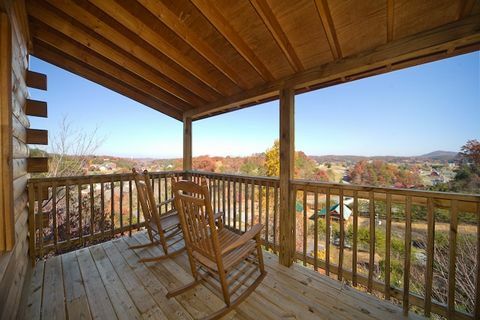 "A Romantic Journey," a charming 1-bedroom cabin rental perched on a hill overlooking the natural beauty of the Smokies, offers vacationers all the amenities for a memorable mountain vacation. 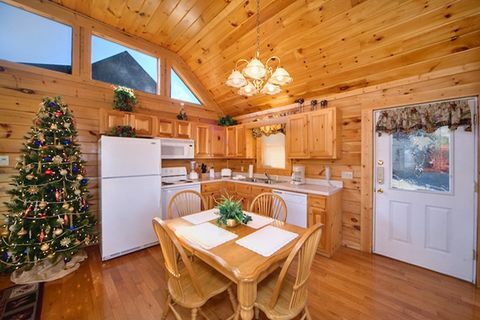 This cabin gives guests the ambiance of a romantically decorated cabin as well as other great features, such as summer access to the resort swimming pool! 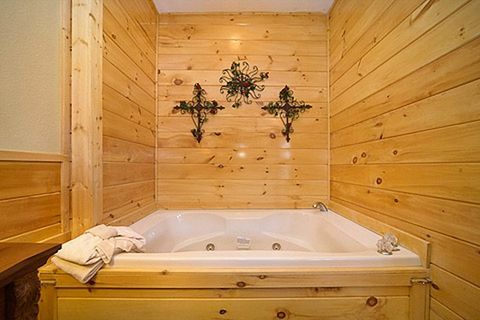 The elegantly furnished master suite features a king-size bed with magnificent canopy and in-room jacuzzi tub for that romantic bath for two. 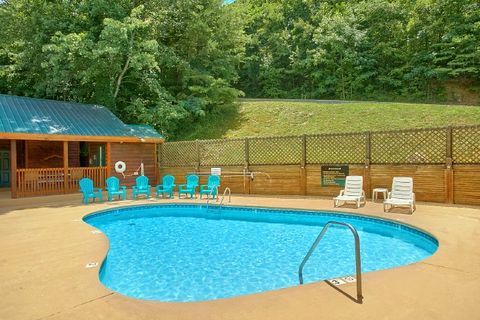 Additionally, there is separate access to the deck from the master suite, where couples can enjoy spectacular views of Pigeon Forge and the Smoky Mountains. 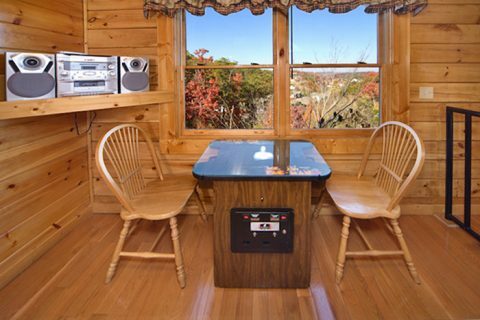 Moreover, this cabin provides other venues for entertainment. 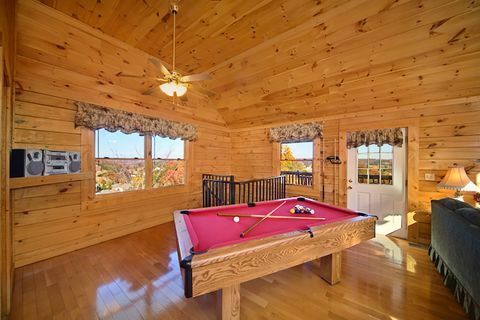 Take a nostalgic walk down memory lane with a Ms. Pac-man arcade game or partake in some friendly competition at the billiard table. 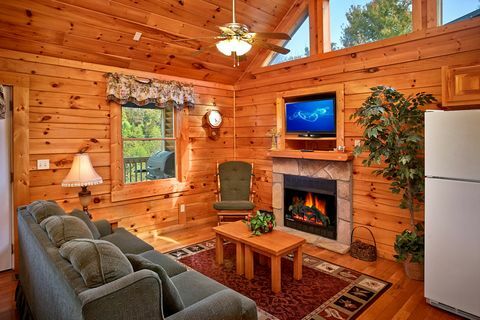 Relax in front of the fireplace cuddled up together while watching a movie. 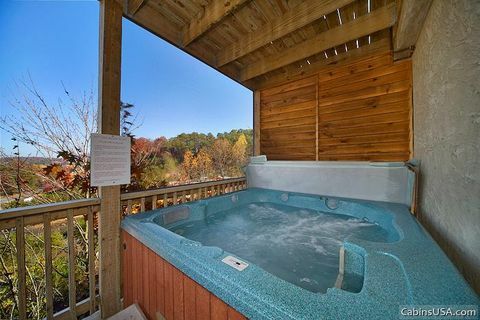 Take a soothing dip in the warm waters of your cabin's outdoor hot tub. 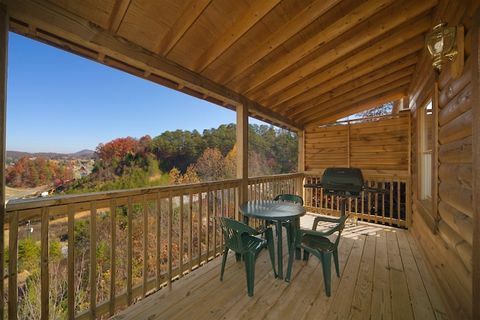 Whatever strikes your fancy - you and your sweetheart are sure to enjoy "A Romantic Journey" in the Smoky Mountains. 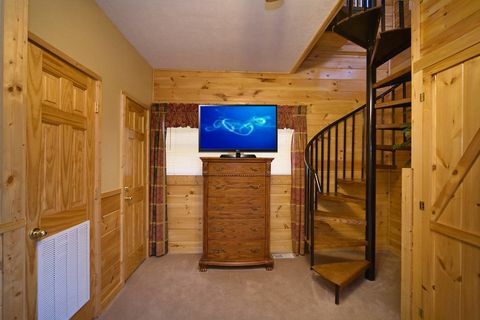 Book this delightful 1-bedroom cabin or one of our other Arrowhead cabin rentals in Pigeon Forge, TN ONLINE and get a 15% online booking discount. 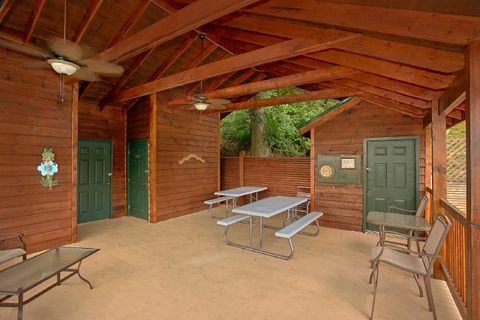 Start planning "A Romantic Journey" today!